The big game is almost here. Do you have your snacks ready? Get game day ready at Lunds & Byerlys! January 31 – February 3, visit any Lunds & Byerlys store to check out quick and easy party food, tasty treats and fun entertaining ideas. 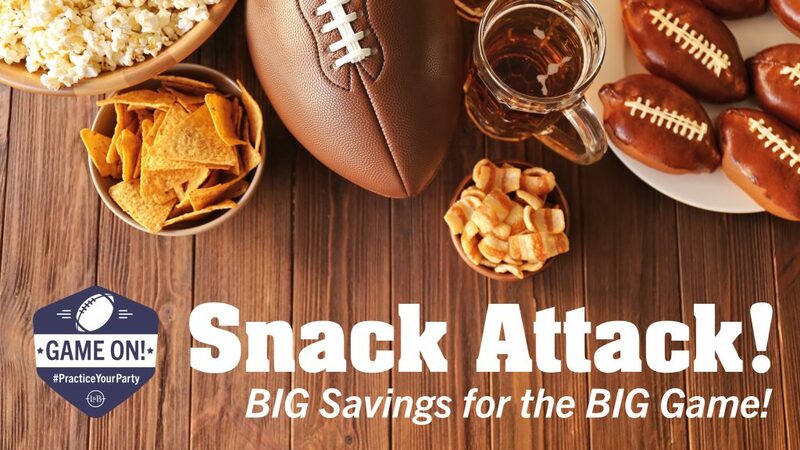 Plus, sample some of our favorite game day fare and enter to win the ultimate Snackification Gift Basket! Stop by to see and taste what we’ve come up with for your game day football feast!